In Light Fall for the Nintendo Switch, you can explore the land of eternal night from the palm of your hand. Bishop Games have announced the Nintendo Switch version of the immersive 2D platformer for release in March 2018. Light Fall will also be available for PC, Mac, PS4 and Xbox One, as previously announced. The first playable build of the game on Nintendo Switch will be shown at Tokyo Game Show 2017 from 21 – 24 September 2017. 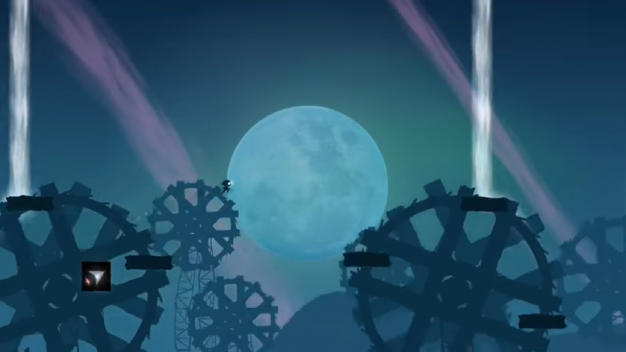 In Light Fall, players complete platforming challenges by harnessing the power of the Shadow Core, a magical box at their feet that can be summoned any time to propel yourself into the air. You also have a companion and narrator, Stryx the Night Owl, to help you explore the forgotten world of Numbra where darkness prevails over light. Together you set off on a quest to save Numbra’s inhabitants and uncover a mysterious past. Through the Lumar Plain, the Marshlands of Sorrow and Vipera’s Forest, players will encounter many outlandish characters, be it friend or foe. Only the strongest will survive. The Ultimate Freedom: Control the Shadow Core, a magical box beneath your feet that can be used and controlled at will, to propel yourself into the air and move across the land at your own pace. With the Shadow Core, you become the master of your surroundings and create your own path. An Immersive Journey: Immerse yourself in Light Fall’s strange universe where darkness prevails over the light. Joining you in this adventure, Stryx the old and grumpy owl, will act as your sidekick and in-game narrator. Depending on his mood, he will either offer useful advice or bluntly mock your failures. Speedrun Competition: Quench your thirst for competition in the Speedrun Game Mode. Compete with players worldwide and compare your fastest times with theirs on the online leaderboard. Light Fall will be available on all platforms, including the Nintendo Switch, in March 2018.